I do like older steel bicycle frames, especially when the frame is graced with chromed lugs, a chromed fork, or both. For many years steel was the choice of master frame builders throughout Europe and these quality built frames often had some type of chromed highlight or feature. The chromed features were usually complimented by chromed headsets, chromed stems, and other chromed steel or polished aluminium components. 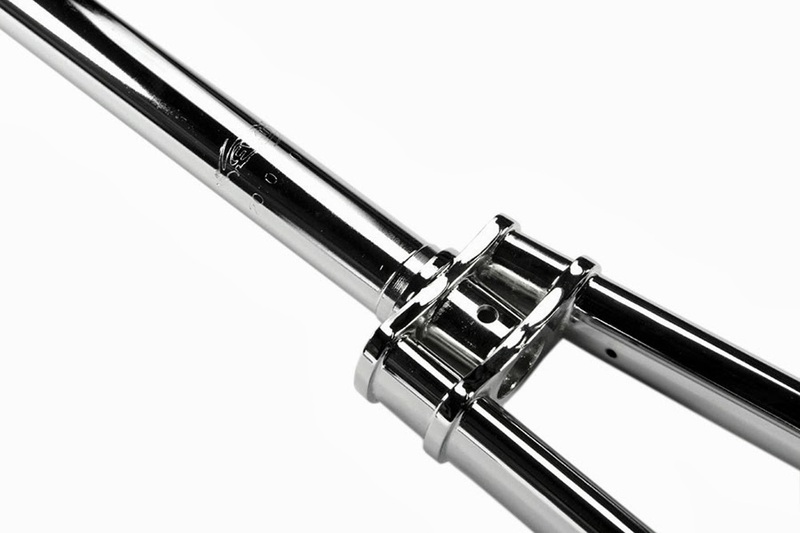 Some manufacturers chromed the chain stays on their frames, others chromed the seat stays, but the most popular chromed feature was the chroming of the front forks. 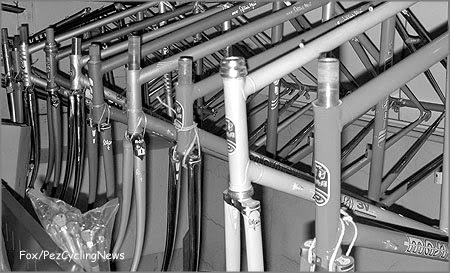 A row of 1980's steel lugged Colnago frames with chromed forks. 1980's Masi steel lugged frames with chromed features. 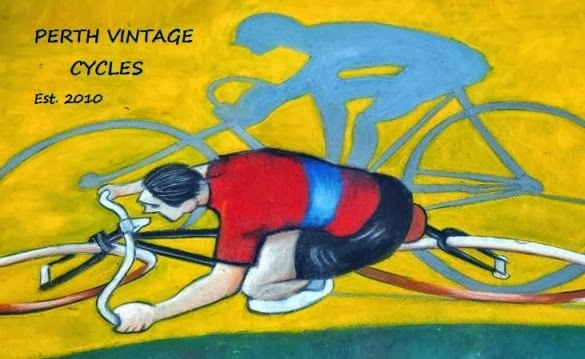 Indeed today, most European brands still make steel framed bicycles to satisfy the wants and needs of the nostalgic cyclist, although they rarely have chromed features. This is most likely attributed to the high costs involved in the chroming process that is now seen to be very environmentally 'unfriendly' due to the toxic chemicals that are used. There are a few modern steel frames on the market that do have chromed features, unfortunately they are usually accompanied with very heavy price tags. Wishing to upgrade the fork on my 2010 Masi Speciale steel frame I was keen to get hold of a chromed steel fork....but after considerable research I discovered that this was not going to be an easy task! Firstly the frame required a fork with a threadless (a-head) 1 1/8 inch diameter steerer, it had to be made for a 700c wheel, and drilled to accommodate a recessed mounting bolt for a modern brake setup.....and so my search commenced. The first fork I found was from Brick Lane Bikes in London. This fork was fantastic, it met my requirements and also had a double crown fork design - the double crown design was stunning and is a feature rarely seen on modern frames. Unfortunately they were made in very limited numbers and were sold out at the time of my inquiry. Brick Lane Bikes double crown fork design. My next, and only other option, was a fork made in Japan by Tange. It was called the Tange Prestige chromed fork and it had beautifully crafted lugs. This fork was difficult to locate, and after much inquiry and consideration I eventually ordered one through my local bike shop. Masi Speciale with standard Masi fork. Masi Speciale with Tange Prestige chromed fork. .....and some more images with a bit more detail. This is a very nice chromed fork and is truly reminiscent of a bygone cycling era. 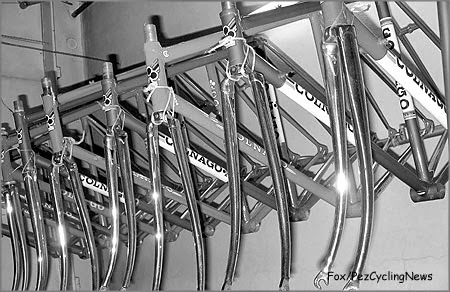 As steel framed bicycles become more and more popular I can clearly see chromed steel forks and other chromed steel components re-emerging into the market.